The last AT The Edge, Cavan in 2018 takes place this month on Thursday 25 October in the Johnston Library, Farnham Road Cavan at 6.30pm. It’s an interesting line up – local woman, Honor Duff who has been on the literary scene for many years, James Finnegan from Donegal who has just published his first collection, and Mary Madec from Galway whose third poetry collection will be published this year. As usual, it will be followed by an Open Mic so that Cavan poets can show case theirown talent. It will be a great evening. 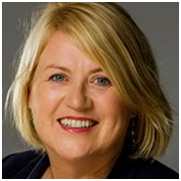 Honor Duff was born in Dublin but has lived for many years in County Cavan.In 2008 she won the Caomhnú National Poetry Competition. 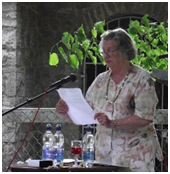 Her work has appeared in several publications including Crannog, The Stony Thursday Book, Windows Publications - Authors and Artists, Boyne Berries, and she has been shortlisted, placed and commended in many Poetry competitions including The Goldsmith, the Francis Ledwidge and the Red Line Literary Festival. Dublin-born James Finnegan has been highly commended in the Patrick Kavanagh Poetry Competition, short-listed in Over The Edge New Writer of the Year, short-listed in The Canterbury Anthology for Poet of the Year, and published in The IrishTimes – Hennessy New Irish Writing (Feb 2018), Poetry Ireland Review (July 2018), CYPHERS, Skylight 47, North West Words, and the anthology The Best New British & Irish Poets 2018. 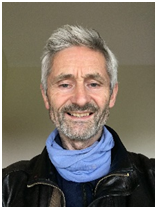 His first full collection of poems, Half-Open Door, is published by Eyewear Publishing and was launched in Listowel on June 1st 2018. Mary Madec has appeared most recently in Reading the Future New Writing from Ireland, Arlen House 2018), Interpreter’s House, The Irish Times (1/4/2017), Stand (Autumn 2016),The Cork Literary Review (Commemorative Issue, Autumn 2016), the international anthology Poets’ Quest for God (Eyewear, 2016) Washing Windows? Irish Women Write Poetry (Arlen House, 2016) as well as Even The Daybreak, (Salmon, 2016). Her third book from Salmon will appear later this year. AT The Edge, Cavan is curated by Kate Ennals and funded by the Cavan Arts Office.